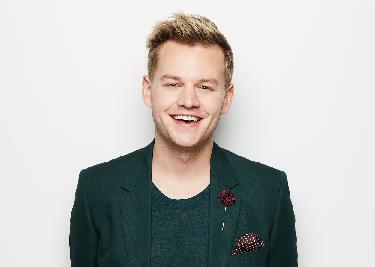 Buy tickets for Joel Creasey: Drink. Slay. Repeat. at Leicester Square Theatre on 09/05/2019 at LiveNation.co.uk. Search for United Kingdom and international concert tickets, tour dates and venues in your area with the world's largest concert search engine. Joel Creasey: Drink. Slay. Repeat. Strap in for a night of scandal and stories with Australia's reigning Crown Prince of Comedy. Joel Creasey has had quite the year. He’s hosted Eurovision, Mardi Gras, Take Me Out, Show Me The Movie and has a comedy special coming soon on Netflix. He also bought a house and dates a supermodel. Slay! He's got it worked out, right? Oh you couldn't be more wrong. You know how behind every amazing Instagram photo you post are 100 that simply weren’t Insta-worthy? Well, behind every one of these sparkling achievements is the unfiltered, chaotic and hilarious f**k ups that plague Joel's daily life and have become a staple of his stand-up act. So strap in for a night of filthy, dishy, dirty stories from Australia's showbiz darling!